Maybe chocolate chip cookies, chai tea lattes, or blueberry pie a la mode call to you, because many of us – even the health-conscious among us – are hooked on sugar. Cookies (and espresso) got me through college, and in times of stress I still turn to that combination to cheer me on. Sugar is highly addictive because it activates the same “feel good” part of your brain as heroin. When you eat sugar, it stimulates the release of dopamine – the neurotransmitter of pleasure. No wonder I wanted needed a cookie every day of my senior year: I was desperate for a pick-me-up/fix. 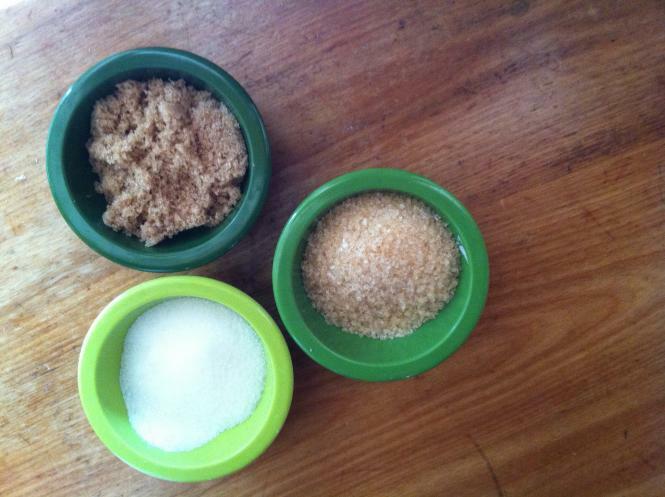 Once an ingredient only for the elite, sugar is now deeply woven into the daily Western diet. Since 1970, sugar consumption has risen from about 1/7 pound a day to almost ½ pound a day per American. That totals 30 teaspoons each day, for a total of 100 pounds each year! This monstrous amount mostly goes down the hatch in the form of soda and fruit drinks, processed and prepared foods, baked goods, cereals, and even pizza. Too little sugar, and it's not sweet enough. Too much, and it's too sweet. The "just right" amount is the Bliss Point. Too little salt, and it's not salty enough. Too much, and it's too salty. The "just right" amount is the Bliss Point. Using this equation, food companies are not only decreasing our sensitivity to the taste of sugar, but also contributing to obesity and the other health conditions that correlate with an increased sugar intake. Last winter, the New York Times published a great article exploring this industry-wide responsibility for American’s health, titled “The Extraordinary Science of Junk Food.” Read it, you’ll be shocked and amazed. What does this seemingly benign sweet tooth mean for our health long-term? Well, sugar consumption affects our cholesterol, our triglycerides and our insulin sensitivity… so basically the amount of sugar we consume is directly related to our risk of heart disease and diabetes. Not to mention weight gain and obesity. Oh, and the pathogenic microorganisms that live in our guts, like Candida albicans, thrive on sugar. They love sugar more than we do, if you can believe it. When these bad bugs are well fed, they proliferate and overpopulate the gut, crowding out beneficial microorganisms like lactobacilli and bifidobacteria that promote digestive health, mental health, and strengthen our immune system (i.e. overall health); they also contribute to health problems such as yeast infections, digestive discomfort, and allergies. Just like quitting anything, breaking the addictive cycle with sugar takes fortitude and persistence. But there’s no need to go overboard and throw away the entire contents of your pantry. 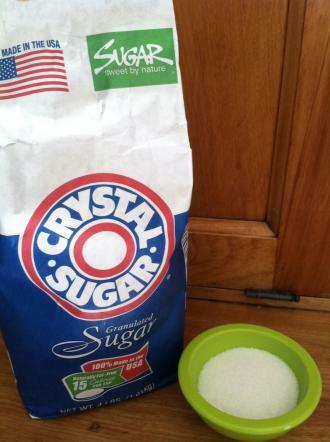 Simply start cutting back the amount of pure sugar you consume. As you decrease the amount of sugar in your diet, you will gradually become more sensitive to the sweetness of foods and crave overly sweet things less and less. 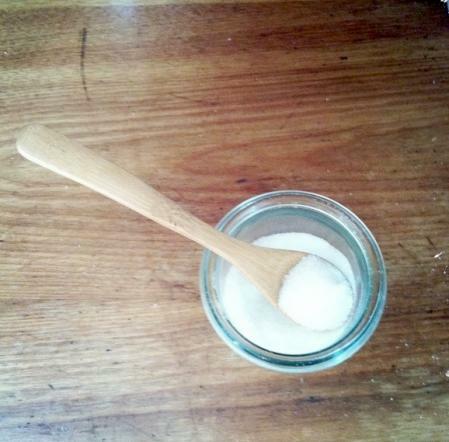 For example, if you add 3 teaspoons of sugar to your morning coffee, cut back to two. At first the coffee may not taste as good, but I guarantee that after 1-2 weeks, you will enjoy the flavor of your coffee again. This is when you cut back to 1 teaspoon. Gradually reduce the number of sweet things you have each day until you no longer miss them, then reduce your consumption even more. Eventually, you can have whole sugar-free days, weeks, or months without even a pang of restriction or remorse. Look for the total sugar content on the nutrition facts panel and aim for 0 grams of sugar. Try to avoid added sugars. You will find them if you read the ingredient labels of packaged foods. Look for words ending in –ose, such as sucrose, glucose, and dextrose. Ingredients ending in –ol (sorbitol, erythritol, xylitol, etc.) are sugar alcohols – low-calorie, but still sugar. The closer to the top of the list, the greater quantity of the ingredient is in the product. Compare products and choose packaged foods with lower sugar content. This usually means buying plain yogurt, unsweetened dairy alternatives, whole grain cereals, etc. To help mitigate sweet cravings, incorporate whole grains and cooked root vegetables like beets, carrots, sweet potatoes and yam, onions, and winter squash into your daily diet. These foods add natural sweetness to your meal, so you’re not looking for something to satisfy that taste when you’re finished eating. Natural sugars are still sugars, but preferable to the highly processed, nutrient deficient table sugar. 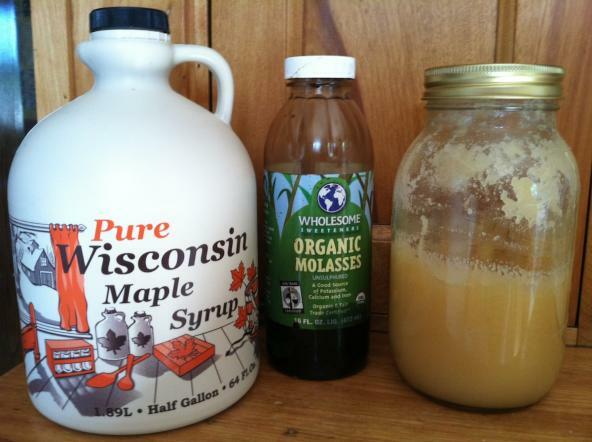 Satisfy your sweet cravings with honey, maple syrup, molasses, brown rice syrup, or agave nectar. Be reasonable and don’t overindulge. Serve fresh fruit for dessert. While fruit contains a natural sugar – fructose –, it also contains vitamins, minerals, antioxidants, and fiber that promote health. Whether your goal is to lose weight or throw defiance back in the face of the food industry, getting sugar out of your life will be as satisfying and delicious as a fresh picked strawberry. 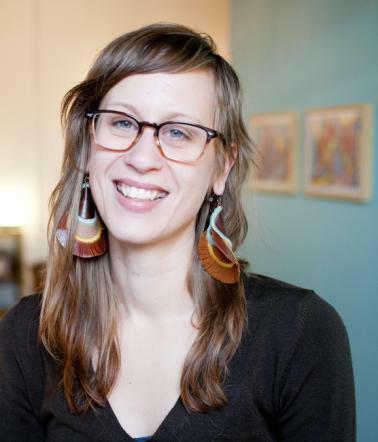 Jesse Haas uses a combination of nutritional counseling, whole foods education, and bodywork to help her clients learn new ways of integrating self-care and good food into their lives to improve their health. To learn more about her wellness practice, visit her website, www.jessehaas.com. Her last article for SGT was Feeling the Seasons of Our Bodies.